Come by the Bank of the West Concierge Tent and show either your Bank of theWest Debit/Credit Card or your Bank of the West Mobile App and your GA ticket and you may be able to view the show from a prime-viewing area. Seating in this special Bank of the West reserved area, along with certain amenities, are on a first-come, first-serve basis and available only to a limited number of festival goers. Parties limited to two (2) people. Saturday and Sunday only. 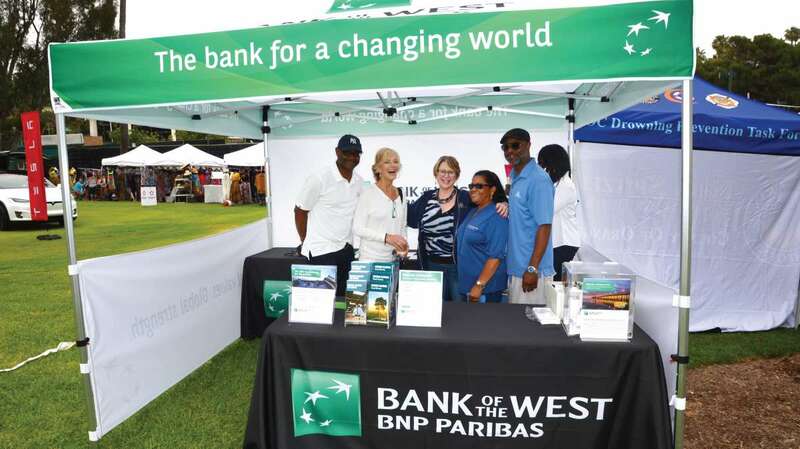 Everyone is invited to visit the Bank of the West Welcome tent. Stop by and enter to win future Jazz concert tickets, meet your Bank of the West hosts and enjoy giveaway items (while they last)! 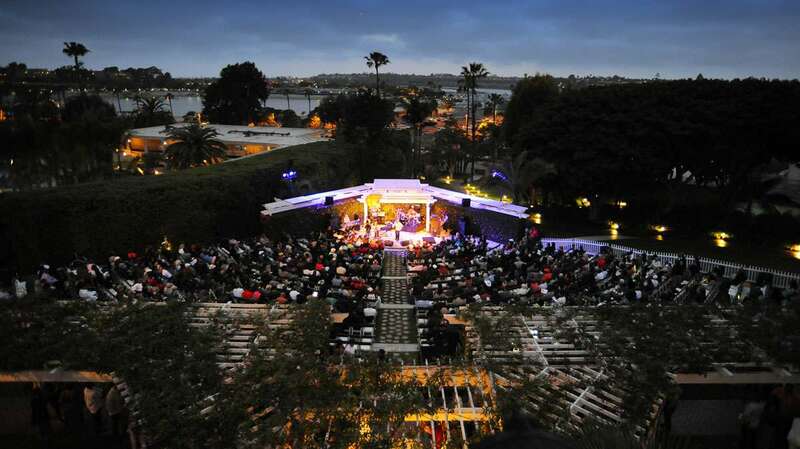 The Back Bay Amphitheater, located inside the Hyatt Regency Newport Beach, will host the Friday night festivities. An intimate venue, the amphitheater allows fans to get up-close and personal with their favorite musicians. 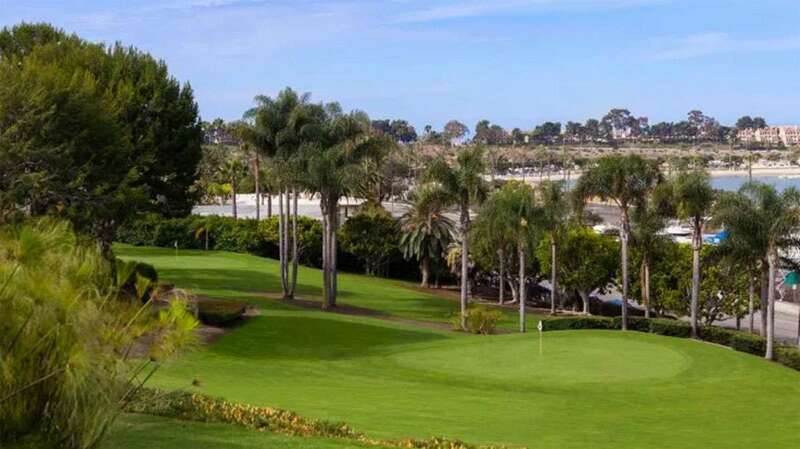 The festival moves down to the golf course for Saturday and Sunday. 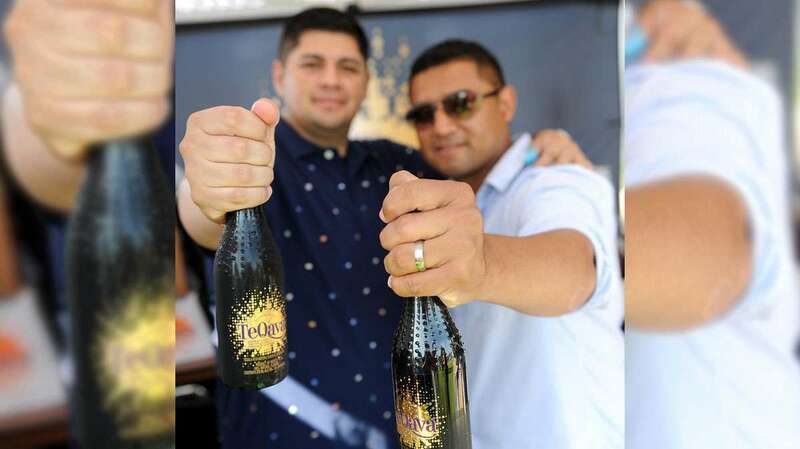 Fans are treated to two stages of music, an international food court, vendor village and breathtaking views of Newport Beach Back Bay. Taste the many flavors of the international food court! 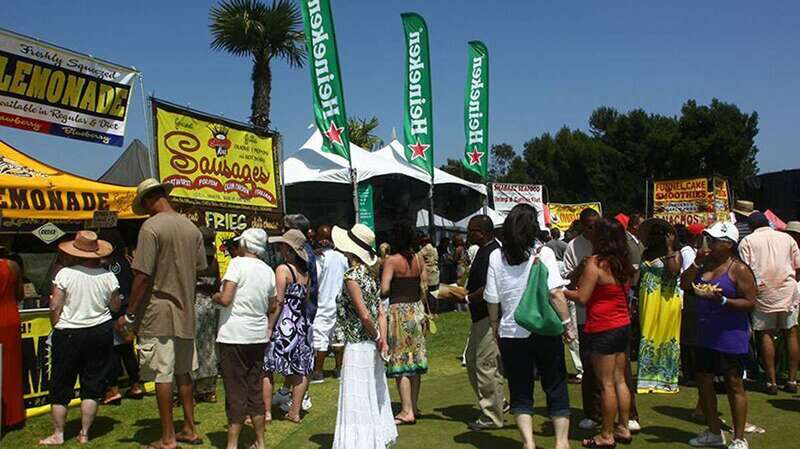 The Newport Beach Festival vendors offer world-class cuisine, there is no going hungry here. 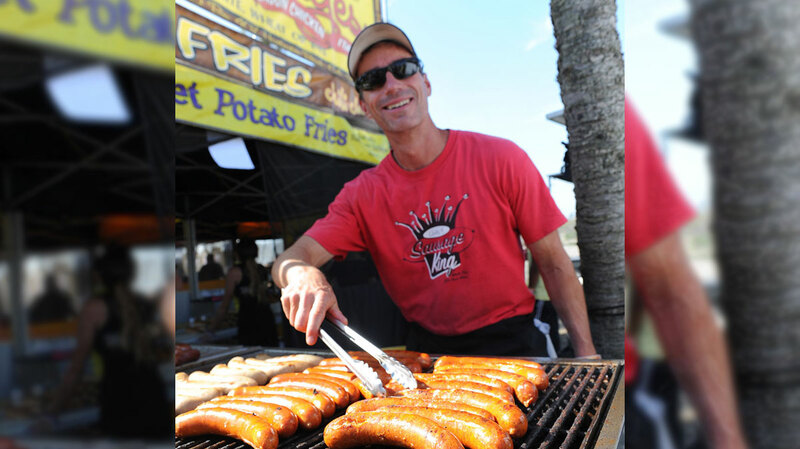 While dining on your favorite grub, check out the surrounding vendor village. Art, apparel and unique gifts will be available for sale all weekend long. 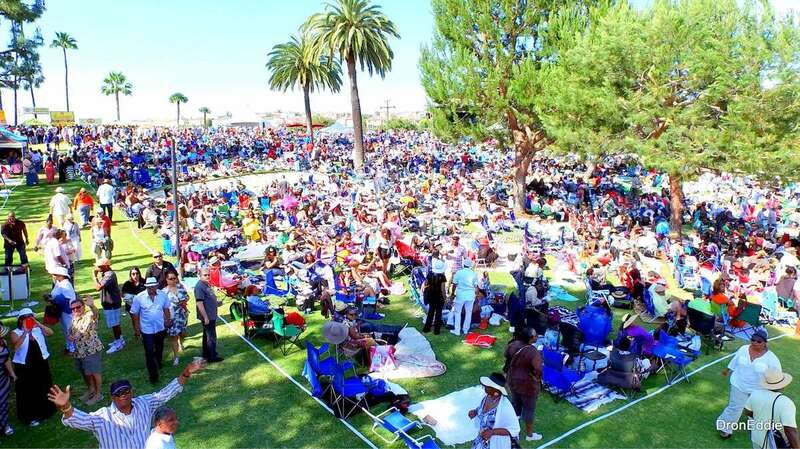 Make sure to stop by the Official Merch Booth – where you can take home some cool swag from the SoCal’s most famous Jazz Festival. 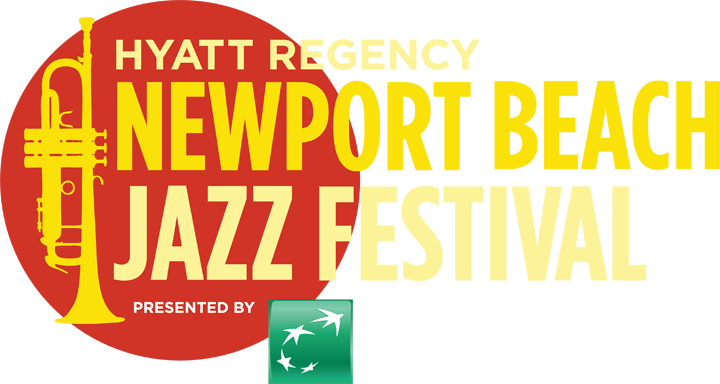 Interested in being a Vendor at the Newport Beach Jazz Festival? Spots are still available, but they are filling up fast! IN ORDER TO BE CONSIDERED: You must e-mail us pictures of your booth, a list of other festivals you have worked at and your potential menu. Please email vendor@omegaevents.com for more info and to submit a request.